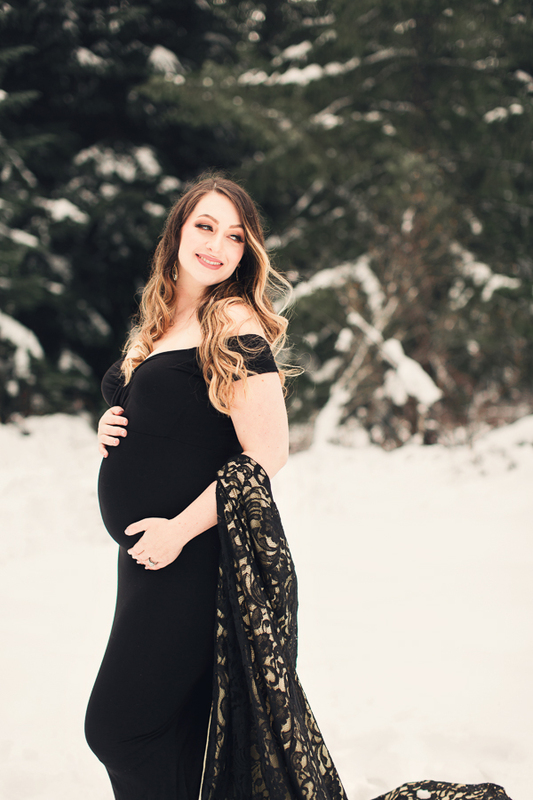 Love the intimate look of a studio maternity session, but love the scenic beauty of an outdoor session? I created the Radiance maternity package as a combination of the best of both worlds in a one day pamper treat. 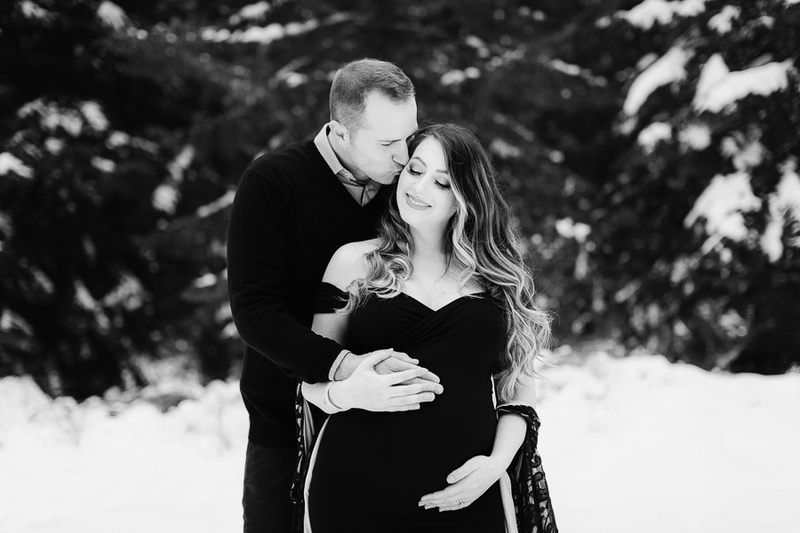 The radiance package is meant to be an experience to celebrate the beauty and journey of your pregnancy. We start your session in my studio located in Puyallup, WA. Here you will have your hair and make up done professionally. The make up artists I work with are skilled at doing professional make up to bring out your best features as well as using the best products that show up well on camera. Once your hair and make up is done we will do a 1 hour studio session. 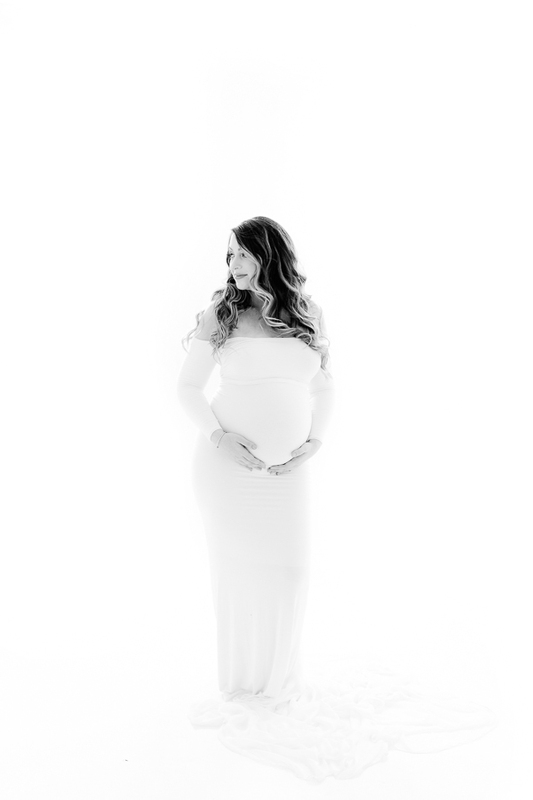 This is your choice of a fine art implied shoot to show up the shape and glow of your pregnancy form or in beautiful flowy gowns for a glamorous portrait of your pregnancy. Studio sessions are a wonderful intimate experience. There are no distractions and we have full control of the lighting and set up. Having a private indoor shoot is a great way to warm up and get comfortable having your photos taken. We do the studio portraits first as a great way to warm up and for you and I to get familiar working with each other. It takes trust in me know that you are going to walk away with beautiful timeless photos of this moment in your life. After spending time taking your studio portraits we will head out to a selected location for your outdoor portraits. This can be up in the mountains with scenic PNW views, a local open park, somewhere in the city, or at a location with wide open fields. Depending on the season we plan for these during golden hour, which is about 1.5 hours right before sunset. Golden hour is the key time for soft golden light and warm rich sun peaks. 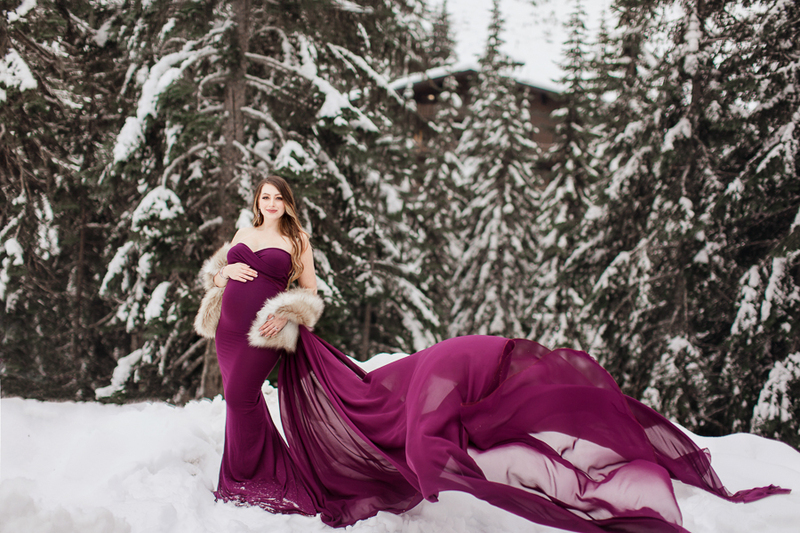 This radiance session was done in early December where we were able to travel about 1.5 hours from my studio to the mountains freshly blanketed with snow. I adore all the looks we did indoors and outdoors. It truly feels like multiple sessions done in one day.